Exclusive knowledge, tips, and advice from Gold&Silver that you can't find anywhere else. The 10-year yield edged down to 2.589%, but the DX was steady between 96.56-96.61. Gold was $1,302 bid at 4PM with a gain of $6. The pound slipped to $1.3211 (EU now considering a long extension, adding to uncertainty), and pushed the DX up to 96.80. Gold was $1,296 bid at 4pm with a loss of $13. The 10-year yield bounced off of a prior dip to 2.612% to reach 2.621%. 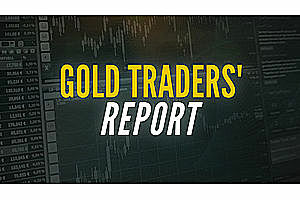 The DX had a modest rebound to 96.80, and gold was tugged back to $1,306.50. The DX was tugged down to 96.85 as the pound spiked to $1.3145 and gold took out initial resistance at $1,299-$1,301 to reach $1,302.20. Gold was $1,301 bid at 4PM with a gain of $9. Today brings news of the latest federal budget proposal, a $4.75T presidential wishlist doomed to defeated in the House that spends money we don’t have. 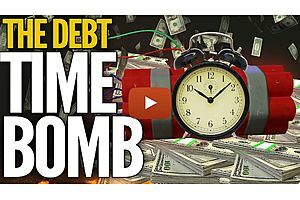 In this video, Mike Maloney explores the impending debt crisis and what it means to you. The 10-year yield edged up to 2.643%, and the DX recovered to 97.31. Gold took out its overnight low at $1,294 to reach $1,291 - however, some bargain hunting buying brought the market back to $1,293.50. The US 10-year yield edged up to 2.628%, while the DX ticked up to 97.38. Gold held up well, and was $1,300 bid at 4PM with a gain of $14. The DX climbed further, however, and took out the 97.71 high from December to make a 21 month high at 97.72 as the common currency continuing to plummet ($1.1176). Despite the dollar strength, gold was $1,285 bid at 4PM with a loss of $2. With seemingly everything except precious metals in a bubble, it can be quite hard to keep your eye on the ball. 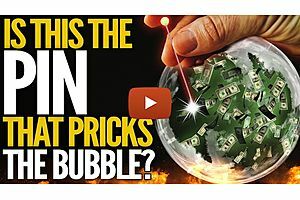 Join Mike Maloney as he uncovers what could potentially be a huge factor in the next crash – insane levels of corporate debt. The 10-year yield dipped further to 2.688% (1-week low), and the DX slipped to 96.78. 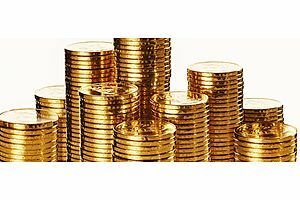 Gold edged higher, trading up to $1,287. The DX hovered around yesterday’s 96.82 high, and gold was $1,288 bid at 4PM with a gain of $1. At GoldSilver, we believe an era-defining, multi-generational paradigm shift in the way the world views and values real money is coming. The US 10-year yield retreated to 2.724%, and the DX - which had touched 96.81- pulled back to 96.70. Gold edged higher, and traded up to $1,289. The DX was steady, trading narrowly between 96.14 – 96.19. Gold was $1,313 bid at 4 PM with a loss of $7. Later in the afternoon, US stocks edged slightly lower (S&P finished -2 to 2,792 ), while the 10-year yield ticked up to 2.697%. The DX slid to 96.14, and gold was $1,320 bid at 4PM with a loss of $9. 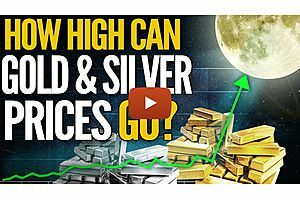 How High Can Gold & Silver Prices Go? There's no way to guess precisely where gold and silver prices may go – however, we do have historical examples that can be extrapolated for today's economic climate. Join Mike Maloney as he updates the prices required for gold to account for the massive amount of base currency that is literally being printed as though it is going out of fashion. The 10-year yield edged up to 2.64%, and the DX bounced back over 96 to 96.05. Gold remained firm and was $1,329 bid at 4PM with a gain of $1. Later in the afternoon, US stocks continued to pullback (S&P finished +3 to 2796), while the US 10-year yield ticked up to 2.672%. The DX traded either side of 96.40, and gold was $1,327 bid at 4PM, off $1.